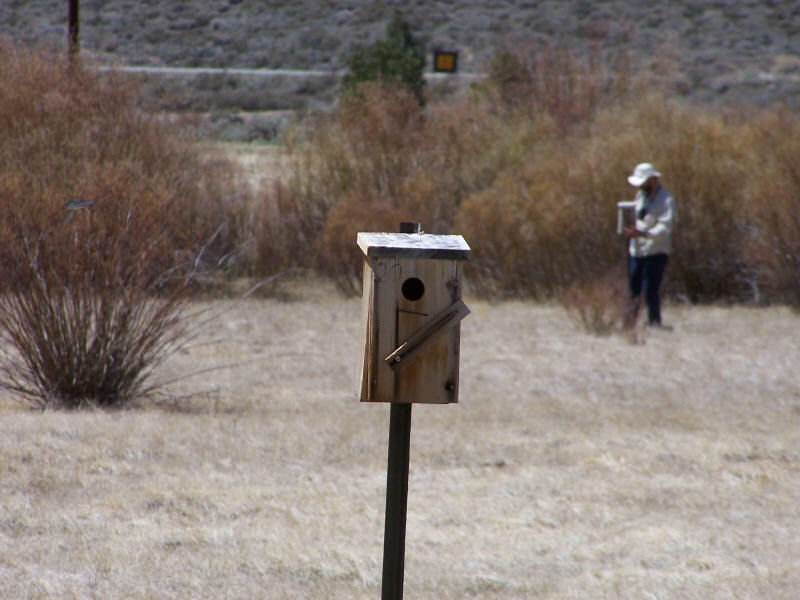 Here we profile the current research that is occurring in the Mono Basin. There are quite a few ongoing research projects, and this page serves as a clearinghouse for researchers to find out who is doing what. If you know of scientific research in the Mono Basin that is not listed here, let us know (please e-mail ) so we can add it to the list. Please also e-mail us if you have reports and studies that you think would be a good addition to this Website. Also see the SAGEMAP Science Locator for many larger-scale Great Basin research projects not listed here. We've tried to break down the research into several categories, but since many studies cross several disciplines, please bear with the "lumping". Some studies are listed in more than one area. We will add new categories as needed. Relationships between United States Federal land managers and surrounding communities; 19th and early 20th century support of US National Parks by civic and corporate advertisers; the role of non-profit partners funding of US National Parks. Historical research concerning the Paiute people of Mono Lake, Hetch Hetchy, Mono and Inyo Counties and Yosemite. The focus is on the tribal affiliation of the Yosemite Indians and presents an alternative viewpoint to the conventional wisdom that they were Miwoks. The conventional wisdom can be found in most books and Websites. A bird-caused trophic cascade in the context of riparian habitat restoration: does it exist and does it represent a "restoration service?" Quresh Latif, UC Riverside, Oikonos, PRBO (PRBO's Eastern Sierra Projects), Inyo National Forest, and CDFG. Mono Basin businesses and Chautauqua participants were surveyed to evaluate the economic benefits of the Mono Basin Bird Chautauqua. Reforming Watershed Restoration: Science in Need of Application and Applications in Need of Science. 2008. The unknown trajectory of forest restoration: a call for ecosystem monitoring. Washington D.C., The Wilderness Society. 2008.